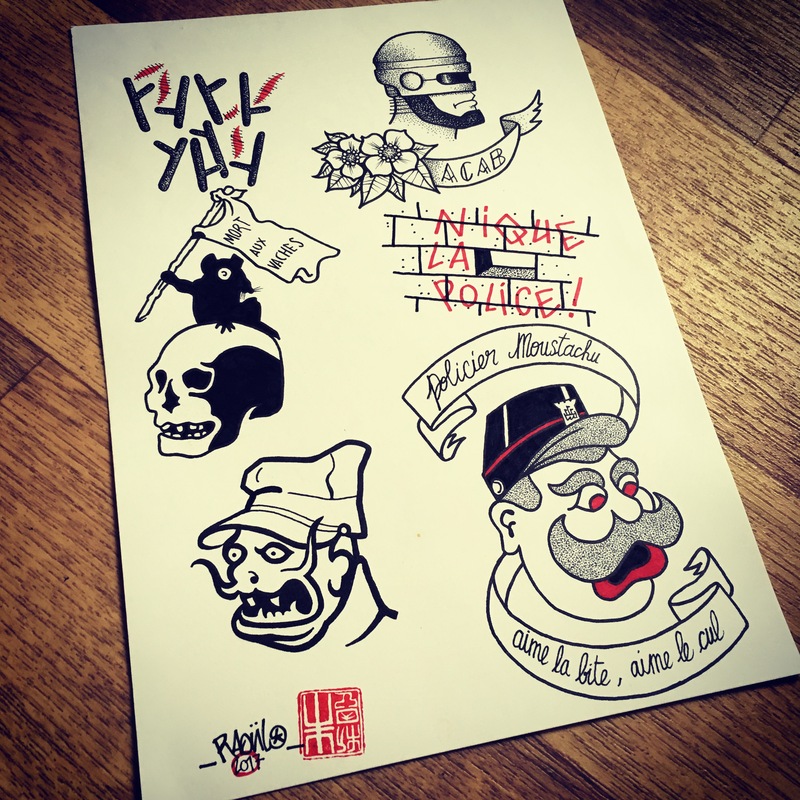 Flash Tattoo d’après Jossot. Dotwork. Par Raoul.